As levels of greenhouse gases reach a new record, concerns are growing about the role of China in global warming. For years, the increase in the number of Chinese coal-fired power stations has been criticised. Now environmental groups say China is also backing dozens of coal projects far beyond its borders. 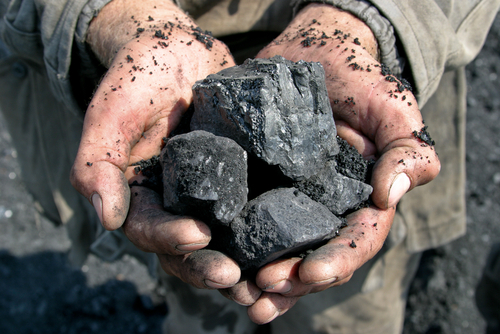 Coal is the most damaging of the fossil fuels because of the quantity of carbon dioxide it releases when it’s burned. Last year, the concentration of carbon dioxide in the atmosphere reached its highest level for the past 3-5 million years, according to the latest research by the UN’s weather agency, the World Meteorological Organisation (WMO). And last month the UN’s climate science panel said that coal must be phased out by 2050 if the world is to have any chance of limiting the rise in temperatures. The Chinese-supported coal projects are under way or planned as far afield as South America, Africa, southeast Asia and the Balkans. Contracts and financing for these facilities are often not fully transparent but campaign groups including Bankwatch have tried to keep track. “You cannot be a world leader in curbing air pollution and at the same time the world’s biggest financier of overseas coal power plants,” the group’s energy coordinator Ioana Ciuta told the BBC. According to Ms Ciuta, efforts to tackle the dirty air of Chinese cities have led many power companies to limit their ambitions for coal-fired power stations in China itself and to target their technology and labour overseas instead. “By having China invest in over 60 countries along the Belt and Road Initiative, it’s perpetuating a source of pollution that has been demonstrated to be harmful not just to the climate but also to economies,” she said. In Serbia, one of the country’s largest coal-fired power stations is being expanded with the help of a loan from a Chinese bank and with the work being led by one of China’s largest construction companies. An hour’s drive east of the capital Belgrade, in the coal-rich Danube valley, construction has already started at the site, known as Kostolac B3. An existing power station towers over the rolling landscape, a steady stream of pollution twisting from a massive smokestack, and conveyor belts ferry coal from a nearby open-cast mine at Drmno. The power station is run by the national Serbian electricity company, EPS, which provides about 70% of the country’s power by burning coal – the rest comes from hydro-electric schemes. Now, under a $715m (£560m) contract agreed by the Serbian government and Chinese President Xi Jinping, an extra unit is being added, which will bring 350MW of additional capacity with the latest “super-critical” technology. When we visit, we catch a brief glimpse of a group of Chinese workers wearing hard hats on their way from the construction site to a vast set of accommodation blocks – by next year, some 1,500 Chinese staff will be here. Safety signs and notice boards are written in Serbian and Chinese. Equipment and shipping containers carry Chinese labels. I ask the EPS official running the project, Zeljko Lazovic, what he feels about such a large and important venture being in the hands of Chinese engineers and workers. “In the next few months a lot of Chinese will come here and this will be a big challenge,” he says. When asked about the environmental cost of the new project, Mr Lazovic insisted it would meet all the EU’s standards on pollution by dust, nitrogen dioxide and sulphur. However, the new unit will not be fitted with any carbon capture technology so it will fit into a pattern of Chinese-backed projects that will add to carbon dioxide levels in the atmosphere. Christine Shearer is an analyst with the group CoalSwarm, which tracks coal developments, and she is scathing about the implications. “These projects are not compatible with limiting global warming to 1.5C or 2C,” she said, referring to the two targets of the Paris Agreement on climate change. She says that Chinese financial institutions are filling a gap left by Western banks and agencies deciding to limit their involvement in coal. We tried to contact the Export-Import Bank of China, which is providing the loan, and the China Machinery Engineering Corporation, which is leading the construction, but did not hear back. For the Serbian power company, EPS, the attraction of a local supply of coal has combined with a cheap Chinese loan and the prospects of valuable exports of electricity. About 3,500 jobs depend on the Kostolac complex but some local people have become increasingly outspoken about the pollution in the area. Momir Savic showed me how the conveyor belts carrying coal run close to the villages and he fears a further expansion of the operation. “The quality of our air and water is very poor. We cannot grow fruit and vegetables. There is also a lot of noise. All this affects the health of people living here, many of whom have respiratory diseases,” he said. EPS says it is spending hundreds of millions of euros on environmental protection but its track record clearly does not inspire trust. Pera Markovic, a lawyer with Cekor, an environmental group, is critical of the company’s failure to limit pollution in the local area. But he concedes that Serbia is heavily dependent on coal for its power. For how long? “Decades,” Mr Markovic says. That’s likely to be the same in many other countries too, whatever climate scientists say is needed.